Over the holidays I went on a road trip starting in Los Angeles and ending in Utah. I have previously shared my unforgettable experience in Utah on the blog (if you missed it definitely check it out here). I wanted though to also share some pics of my time spent on the West Coast (which is as always one of my favorite places in the world). We stopped in over Palm Springs, Beverly Hills and Malibu before heading to the South West. I love the light, the retro designs and the overall scenery that the West Coast has to offer. Here is a little travel snapshot of my holiday trip. 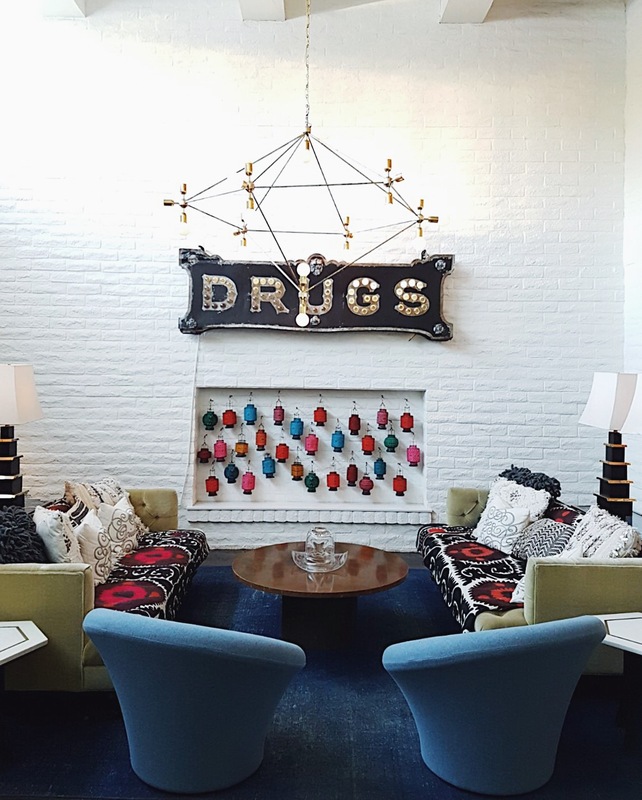 We stayed for 2 nights at the iconic Parker Palm Springs. This time we stayed in the main building and this is a view from the hallway outside of our room. 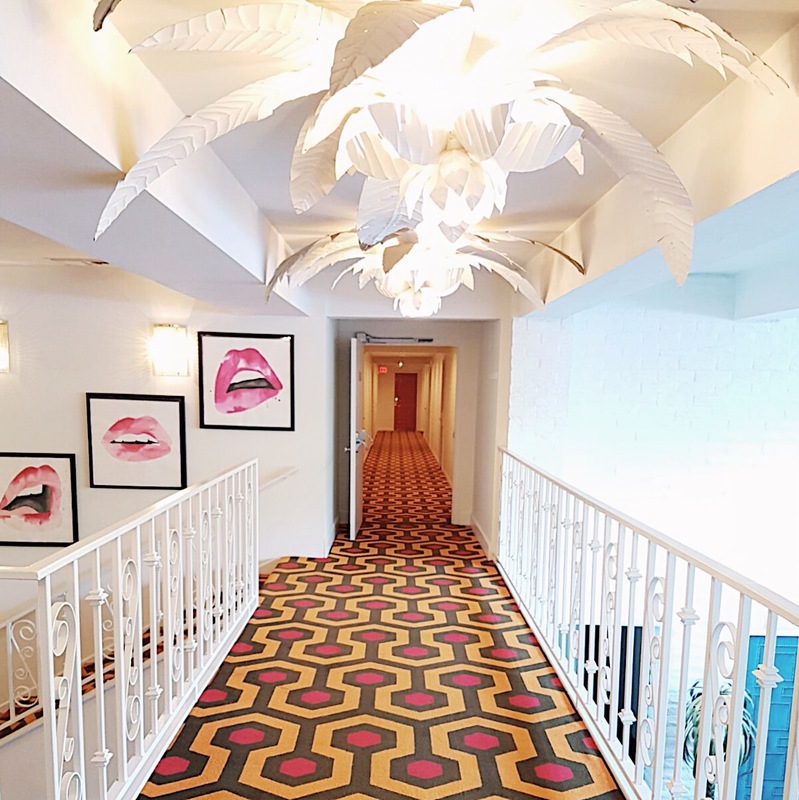 This hotel was design by Jonathan Adler in 2004. It has so many amazing retro design elements including these incredible vintage pendant lights. It mixes in a 1950’s feel with graphic modern designs. 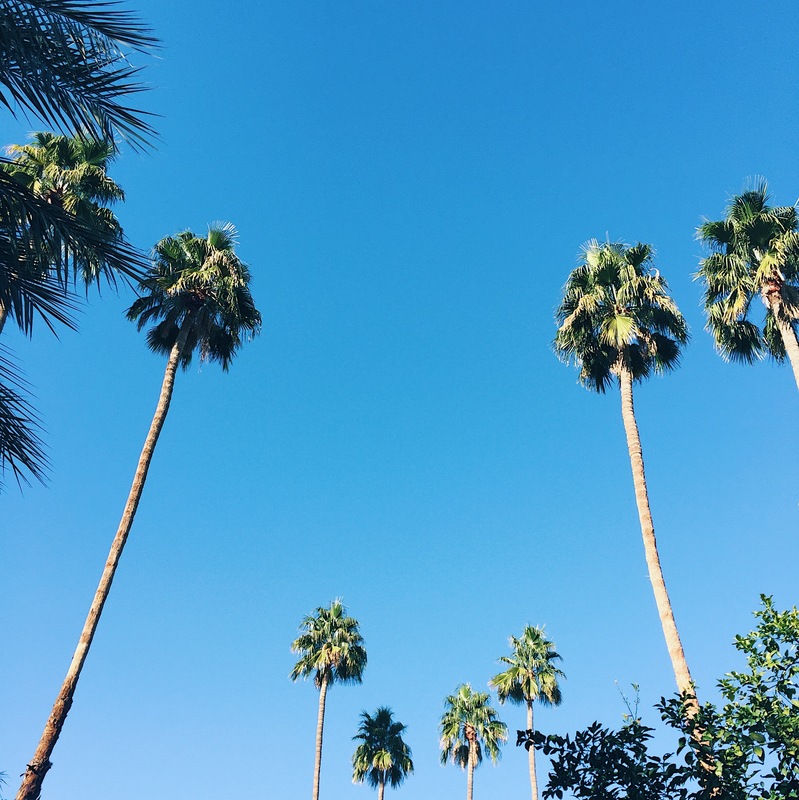 Sky views in Palm Springs. This is one of the iconic shots of the lobby area of the Parker Palm Springs. I feel like we have all seen this a hundred times but it still is pretty amazing design. 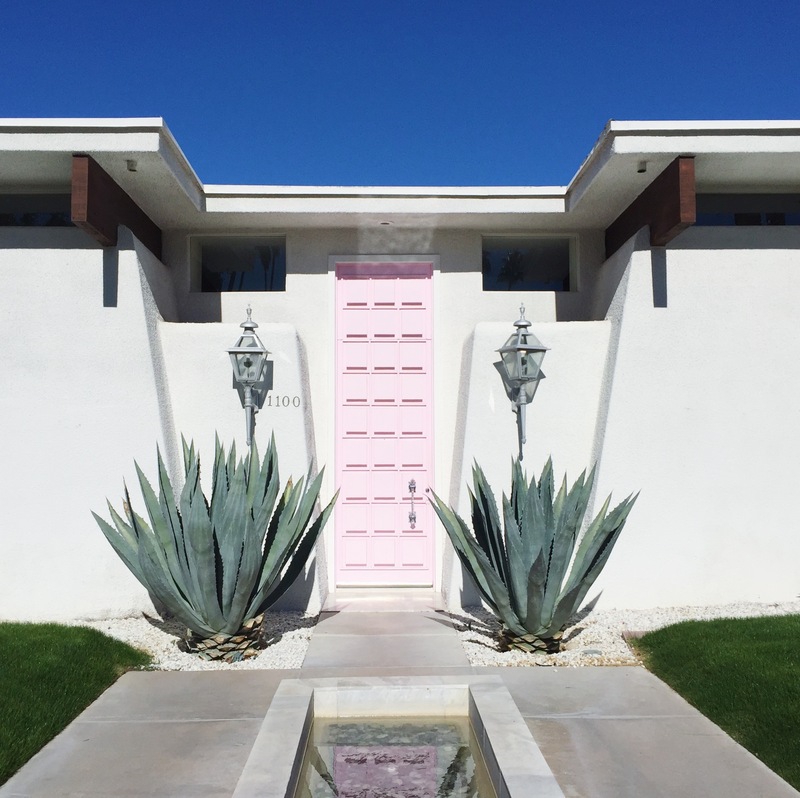 This has become a famous door in Palm Springs. If you look it up on instagram it has its own page (@thatpinkdoor). This is just an example of the wonderful architecture that is all around the area. 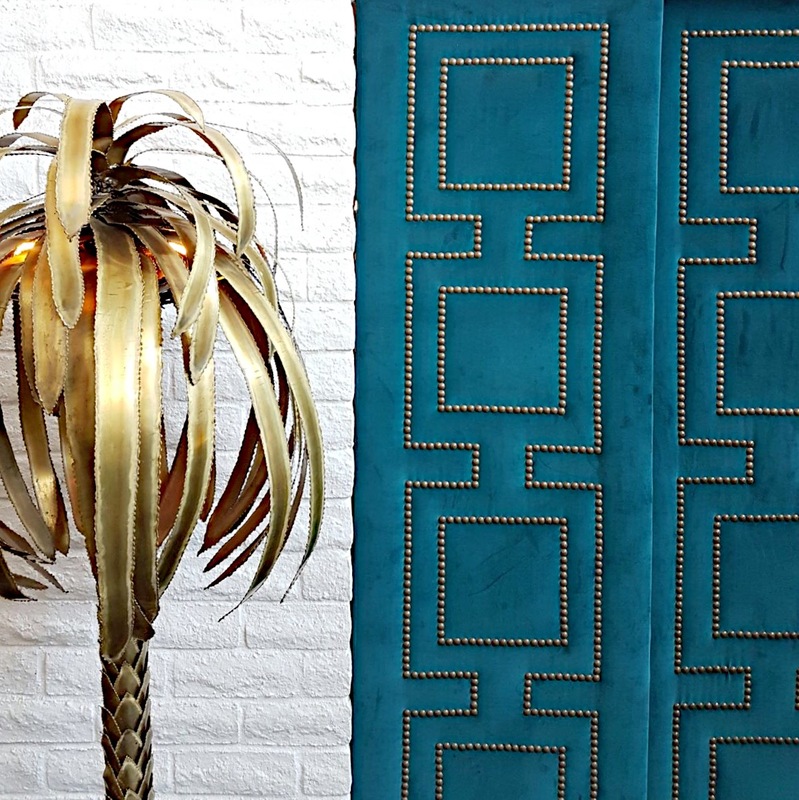 Retro design elements from the bar area, including a brass palm tree and teal velvet doors. Neighborhood Views … (I wouldn’t mind this as my back yard view). More incredible architecture from Palm Springs. This entryway is ace and by the way the owners are constantly changing the decoration on their two sculptures. This time it was pink feathers. 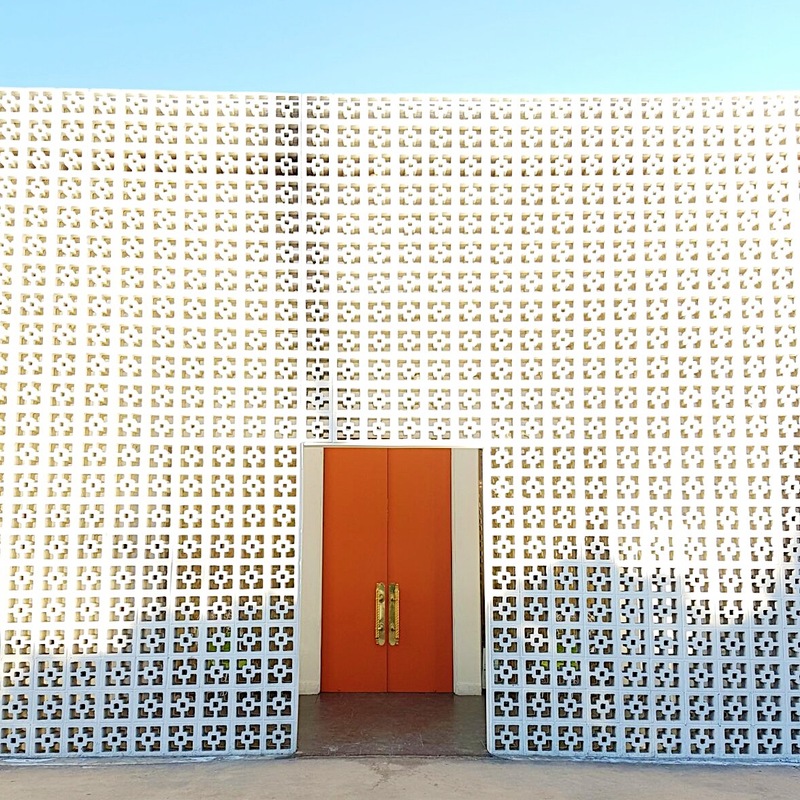 Entryway to the Parker Palm Springs … forever a classic. 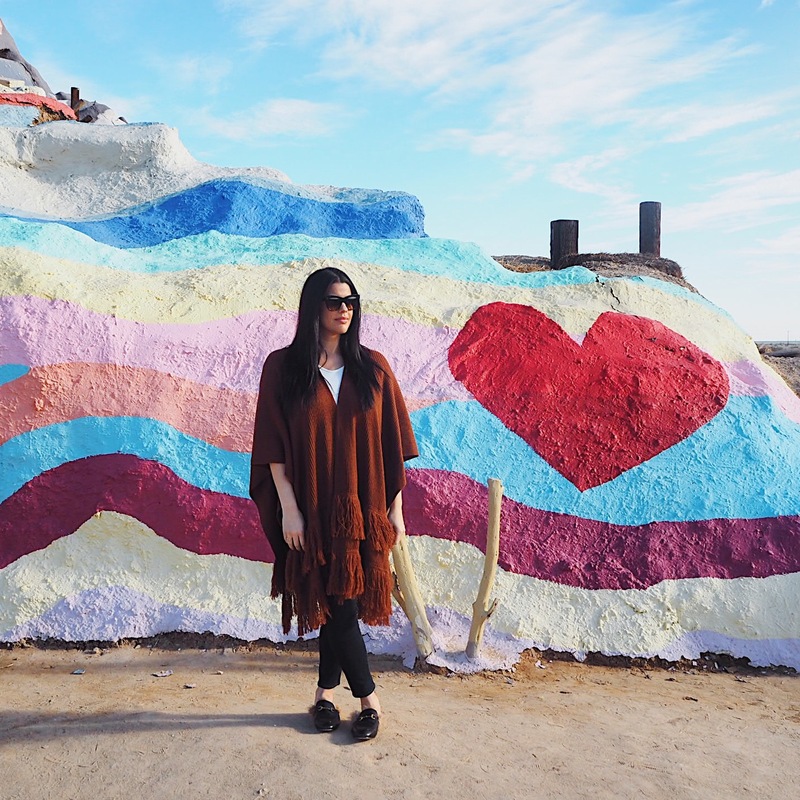 On the way back to LA we decided to drive out of the way (about 2 hours into the desert) to find Salvation Mountain. I loved the landscape at this pitstop. Selfies in the desert (obvs). 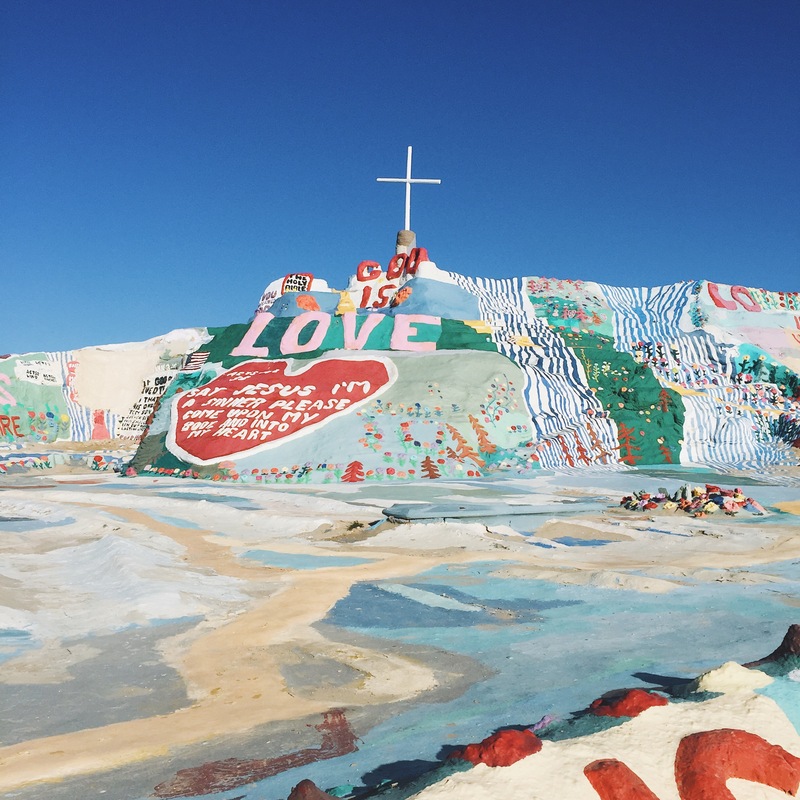 This is Salvation Mountain. A giant art installation built in the middle of the desert in Niland, California. 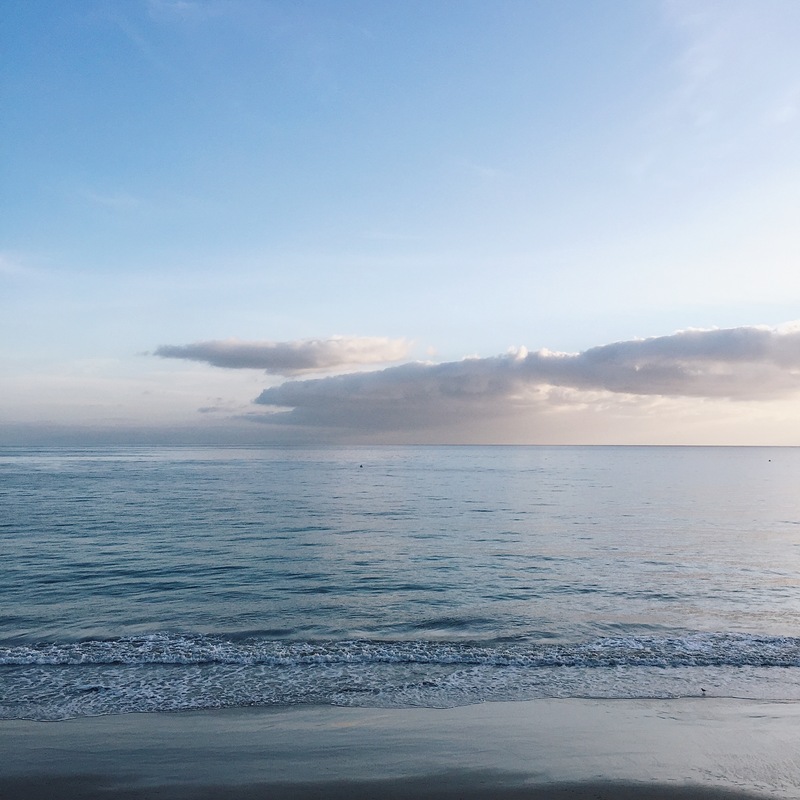 Once I was in L.A., I stopped over to the new Soho House in Malibu (this is next door to Nobu Malibu, which is my favorite restaurant in L.A.). 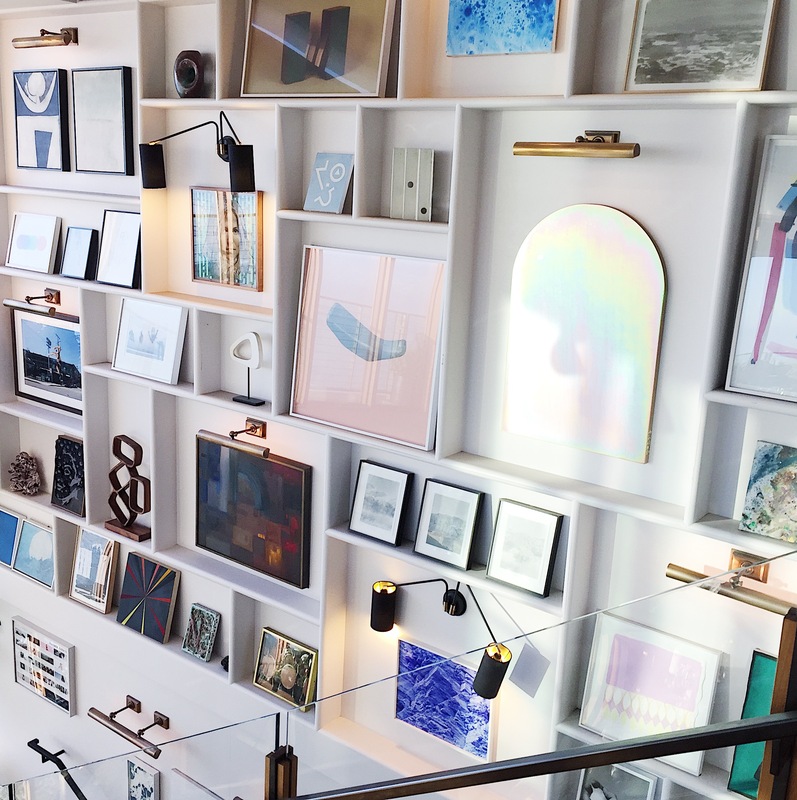 I had to sneak a snap of this gallery wall, which is pure perfection. 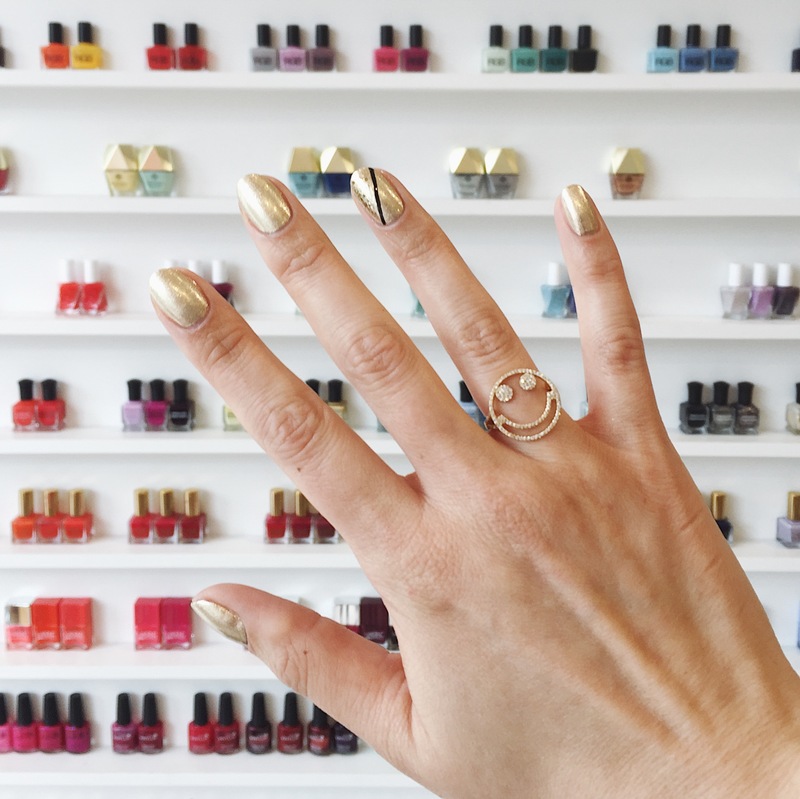 Hands down the most beautifully designed nail salon … ever. 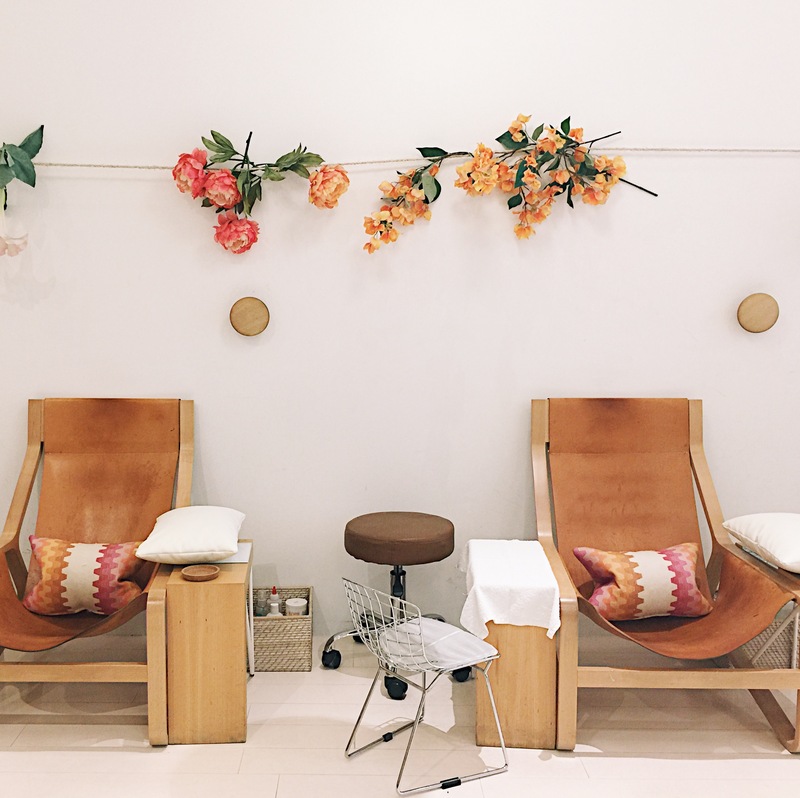 This is the Olive & June location in Beverly Hills (see more of its design here). My New Years Eve nails were very metallic. We stayed at the Beverly Hills Hotel (a treat for sure!). 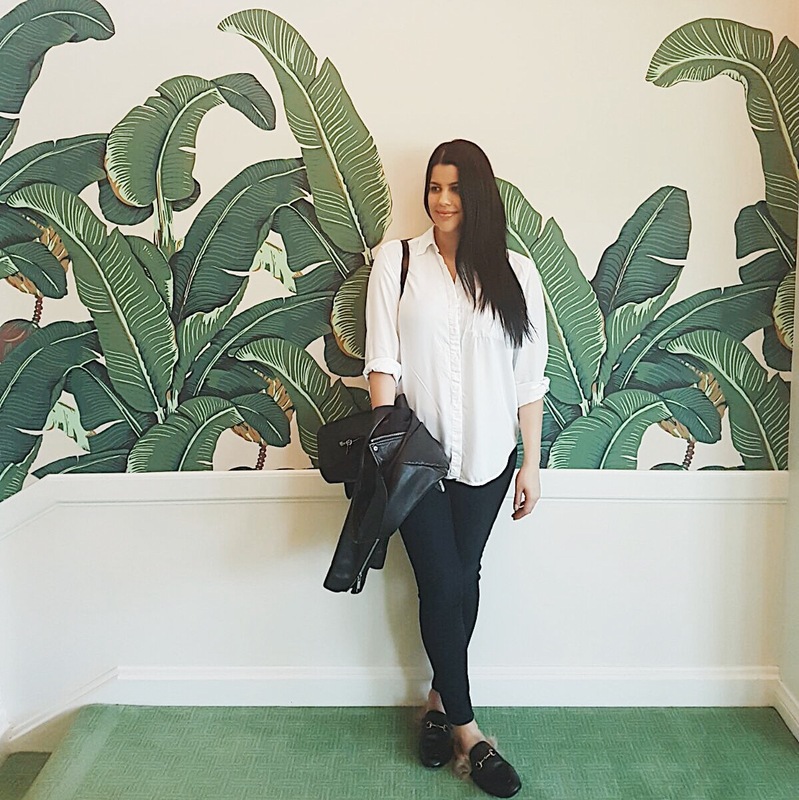 The hotel is lined with this iconic banana leaf wallpaper. This hotel is so cool and just oozes Hollywood glamour, with a theme of dusty pink and green. (See my design inspiration from this hotel here). This is a view from the airplane. 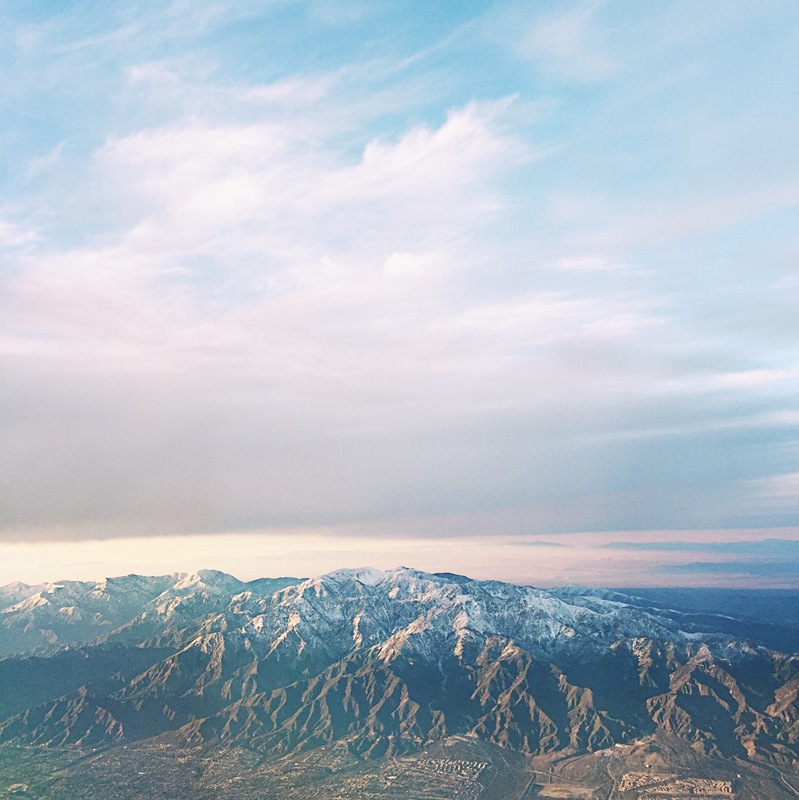 I mean … I just love the West Coast. 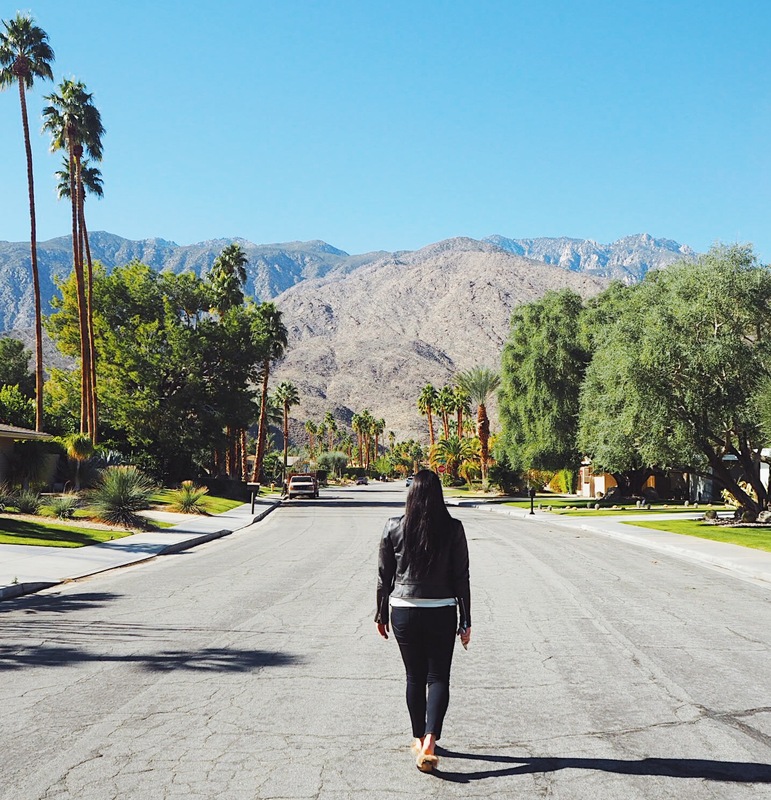 See more of my trips to Palm Springs here & my Cali road trip from last Summer here.